(Churchwatch Central) Up until the Royal Commission in 2014, the press were still reporting a single case of child sexual abuse in New Zealand by Frank. Brian Houston, CLC/Hillsong and the AOGA were the ones who fueled this public misconception and failed to correct the story when given opportunities (Mar 2002 -SMH1 Journalist, Jul 2002 -SMH1 Journalist, Jan 2003-SMH2-journalist). Brian actually lied to a journalist (Apr 2006-SMH3 journalist), lied to Ps Taylor; and lastly tried to claim Clergy Privileges before the RC’s report criticised Brian Houston. The matter was totally mismanaged. 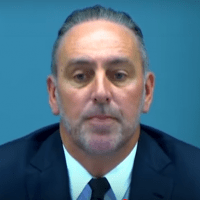 Hillsong recently responded to the 60 Minutes program which also announced that Brian Houston is now under police investigation. The program aired Brett Sengstock’s struggle to get justice for being sexually abused as a child by Frank Houston, and for being so badly dealt with by Brian Houston. The responding Hillsong media release, which will be reviewed below, is another example of their willingness to deceive and obfuscate. And when Brian declares his grief for his father’s victim, question how genuine that is. Note that neither Hillsong/CLC nor Brian, nor his family have given Brett any support in finding justice, getting an apology from the church, getting help or financial compensation. (There was only the debacle of Frank Houston’s attempts to buy forgiveness / provide some compensation with $12,000, (and Brian’s concern was it may be seen as hush money); for which Brett had to chase up, and which Brian had to follow-up.) Brett has had to fight every step of the way.